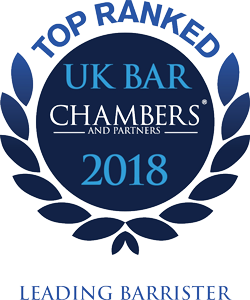 Recommended by both Chambers UK and L500 as a leading junior, Guy Hollingworth specialises in intellectual property law with particular experience in matters concerning trade marks and passing off. His practice encompasses both contentious and non-contentious work and he regularly appears in the High Court, Court of Appeal, the UK IPO and has twice appeared in the Supreme Court. Guy is also a CEDR accredited mediator. Guy has a BSc in Industrial Design with a 1st Class Honours from Brunel and his technical expertise includes issues concerning electronics, mechanics, computer programming, neural networks, ergonomics and material sciences. A popular junior among instructing solicitors for his composure, polished courtroom presentation and first-rate knowledge of trade mark matters. He regularly handles infringement and opposition claims, with additional expertise in copyright and design rights disputes. He is also experienced at handling cases concerning contentious licensing agreements. He possesses additional expertise in database right claims.